Superprogetti is a design studio based in Reggio Emilia, Italy. specialised in visual communication, video/motion graphics and industrial design. Superprogetti worked for: Universal Music Italia and Emi Music, Aliante Group SpA, Ministero delle politiche Sportive, Dolce & Gabbana, D.A.T.E. Sneakers, Gemmo, Alenia Aerospazio, GetFit, IBSA Flector, Volta Footwear, Gruppo COIN, Città sonore, 47th floor, 3dforme, Filmaster, Europa Risorse MAC567 Doughty Hanson & Co., NewYorkIndustrie, Citta’ sonore, Powerstock, Marden Entertainment, Acetificio Carandini Emilio, Soda studio, Pzannelli, SME security material environment, gruppo Alessandrini, THE247 store, Twentyfourseven group, 247showroom, Diapason consulting, UAE dolphin project, 2Pservice, ST powder Coatings, SIT società igiene e territorio, Tech-value, Fiocchi, Roche diagnostics, Fastweb, Gruppo Hera, Looking for Value, Connecto, RCS mediagroup, Aricar SpA, Caralis Srl. 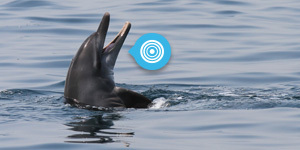 Superprogetti created the corporate image of the UAE Dolphin Project, develops and maintains the audio/visual/social media and the website of the project.